Ceramic Kitchen Knives are the new way to prepare food safely and healthily. 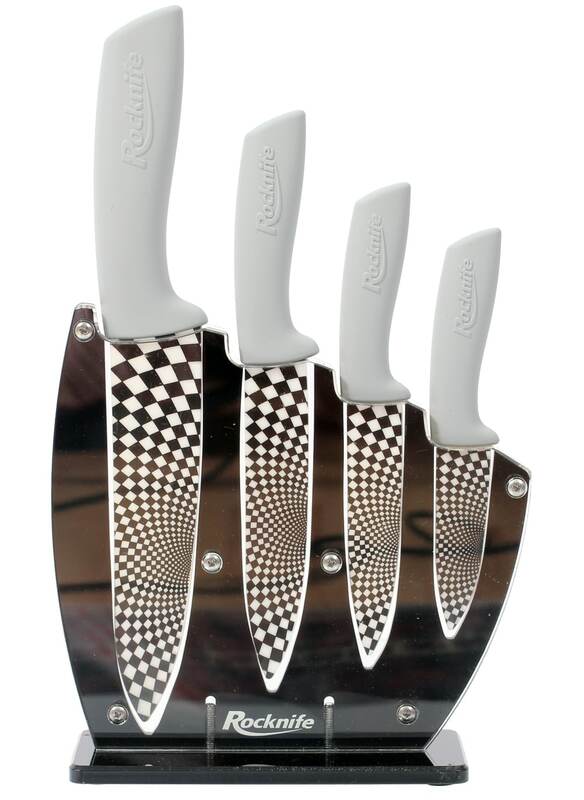 These Cool Grey Ceramic Knives offer the perfect sharpness and traditional design. Your home or workplace has been the forefront of our minds when each set has been put together. Ceramic Knives have been highly recommended by professional Chefs. Our stylish designs will surpass all expectations with their black and white chequered blade and black-coated soft grip handle. A perfect gift for a wedding or anniversary present, these black Ceramic Knives will stand out in the kitchen. Designed to stay sharp for many more years than a steel knife without the need for a sharpener, they are dishwasher proof and easy to wipe clean to store away. These Grey sets will always be suitable for any kitchen or workplace. The ultimate in design and professionalism, our grey handle ceramic bladed knives is the colour that inspired us to originally make these knives.